Since the deployment of the new chat backend with the March 2018 release, we’ve seen a wide range of issues with the new system that have both severely inconvenienced the community and had long term adverse effects on gameplay for many of our pilots. At this point in time, given that feedback from the community is crystal clear regarding issues that are still being experienced ten months after deployment, we feel that it’s imperative to provide an update on the status of the chat issues to give a little more clarity. 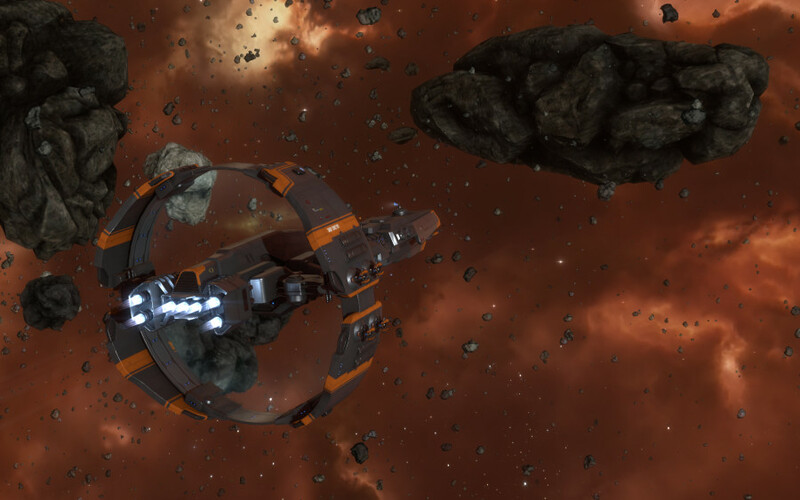 Overhauling the chat system is a very important part of the futureproofing work that’s going into many of the older systems in EVE and over the course of the next three weeks, we’ll be looking at finalizing its stabilization with a view to resolving all the major outstanding issues. Finding a fast, effective and permanent resolution to these issues is now a top priority for the development team. If our current efforts do not yield positive results by the end of January, we’ll begin the process of investigating the reinstatement of the original chat back end, which despite its future limitations, served New Eden reliably in the past. While we aim to have the issues resolved as soon as possible one way or another, reinstatement of the original chat back end will take some time given that settings, permissions and content will need to be migrated back to the old system again and several technical changes need to be made to bring it back online. As soon as we have more information on the progress of our current efforts, we’ll keep you updated via the @EVE_Status twitter handle. Once we reach the end of January you can expect more details from us on a final decision regarding the chat system, as well as in-game compensation for the disruption to gameplay that has occurred due to the issues that have been experienced. We would like to sincerely apologize for the issues that the community have experienced with reliability of the chat system, and for the completely unacceptable length of time that it is taking to bring stability to chat, which is a fundamental part of gameplay in New Eden. We hope to have the issues resolved as soon as possible. Hi there! Someone in my Myspace group shared this website with us so I came to look it over. I’m definitely loving the information. I’m bookmarking and will be tweeting this to my followers! Fantastic blog and amazing style and design. I have read some excellent stuff here. Certainly value bookmarking for revisiting. I surprise how so much attempt you put to make one of these great informative website. I just want to mention I’m newbie to weblog and actually enjoyed this website. More than likely I’m likely to bookmark your blog . You definitely have exceptional articles and reviews. Thanks for revealing your blog site. I am sure this article has touched all the internet users, its really really nice post on building up new website. Fantastic web site. Plenty of helpful info here. I’m sending it to a few pals ans also sharing in delicious. And obviously, thank you to your effort! Glad to be one of the visitants on this awing website : D.
Thanks for sharing excellent informations. Your site is so cool. I am impressed by the details that you have on this blog. It reveals how nicely you understand this subject. Bookmarked this website page, will come back for more articles. You, my friend, ROCK! I found just the information I already searched everywhere and simply couldn’t come across. What an ideal website. Valuable info. Lucky me I discovered your site unintentionally, and I’m surprised why this accident did not came about in advance! I bookmarked it. I do enjoy the manner in which you have presented this specific challenge and it really does provide us a lot of fodder for thought. Nonetheless, coming from everything that I have observed, I simply just trust when the remarks pile on that people continue to be on issue and don’t get started upon a tirade associated with some other news of the day. Yet, thank you for this exceptional piece and even though I do not really concur with it in totality, I respect the viewpoint. Hello there, I think your web site might be having browser compatibility problems. When I take a look at your website in Safari, it looks fine however, if opening in I.E., it has some overlapping issues. I merely wanted to provide you with a quick heads up! Other than that, excellent blog! Greetings! Very useful advice within this post! It’s the little changes that produce the greatest changes. Thanks for sharing! What are the most prominent blog site sites in the Philippines where I can send my blog sites for others to check out? Hello, Neat post. There is an issue together with your website in internet explorer, may test this?K IE still is the marketplace leader and a good portion of other people will leave out your magnificent writing due to this problem. Do you mind if I quote a couple of your articles as long as I provide credit and sources back to your weblog? My blog is in the very same area of interest as yours and my users would really benefit from a lot of the information you provide here. Please let me know if this okay with you. Thanks! I cannot thank you enough for the blog article.Much thanks again. Hi, i feel that i saw you visited my web site thus i got here to “go back the desire”.I’m trying to to find issues to improve my site!I suppose its ok to make use of a few of your ideas!! This is the appropriate blog for anybody who wants to find out about this topic. You realize a lot its virtually arduous to argue with you (not that I truly would need…HaHa). You positively put a brand new spin on a subject thats been written about for years. Nice stuff, simply great! Leave a Reply to Filmes Lançamentos Torrents Click here to cancel reply.